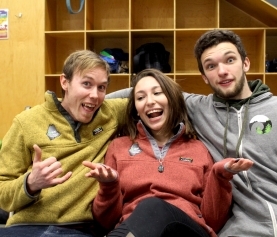 So, you’ve found the sport of rock climbing and have realized how fun and how difficult it can be. We’ve all been there and we’re psyched for you to start. 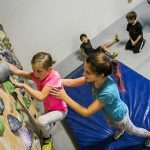 After climbing a few times, it is quick to see that there is a lot to learn about the sport and climbing moves in general. Well, we are here to help. Below are a list of tips to help take your climbing to the next step. 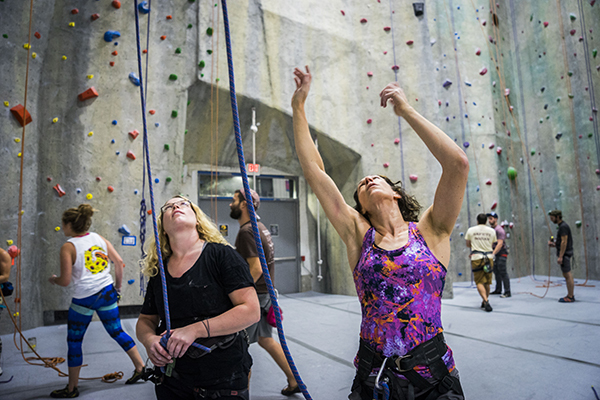 Maybe you have heard the phrase, “the only way to get better at climbing is to climb.” Well, that’s alright, but there’s more to it than just climbing. How you climb can make a big different. Practicing incorrect movements may be holding you back. Instead, try to learn different foot techniques such as back stepping, flagging, switching feet, and step-throughs. Check out some videos such as Rock Climbing Techniques by REI Coop to learn more. Training your core, arms, and legs can help build strength. That means pull ups, sit ups, and maybe a little running. Basically, its a good thing to take time at the gym to focus on other aspects of your muscles in order improve your strength and climbing. You’re climbing on the wall, and you suddenly you hear, “keep your arms straight.” Well, this is an important resting tool while you are on the wall, but it doesn’t exactly bring you upwards. In order to start the initiation of moving up the wall, you must use your legs to push first. Keeping straight arms allows your body to stay in a relaxed position by resting your body weight on your skeletal system. If you flex your way through a climb, you can bet that you will be too tired to continue. Work smarter, not harder. Ever see someone casually walk up to your project and fly through it ever gracefully? It happens to everyone. It may hurt the ego a bit, but by watching stronger climbers you will inevitably learn their tricks to making that climb a bit more easy. Note, not every body is the same. Shorter folks might have to come up with different ways to reach a hold. Taller folks might not be able to lift their legs as high. 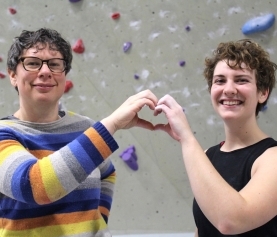 Meet a climber with a similar body type and you might learn a thing or two. We get it, you’ve found a project that gets you psyched and it can be easy to keep trying over and over again. Instead, wait. Jumping on a climb too early can increase your risk of finger injuries. The general rule is to rest twice as long as you have been on the wall. At minimum, rest for 2 minutes before trying again. Your fingers will thank you. Respect the rest day as well. 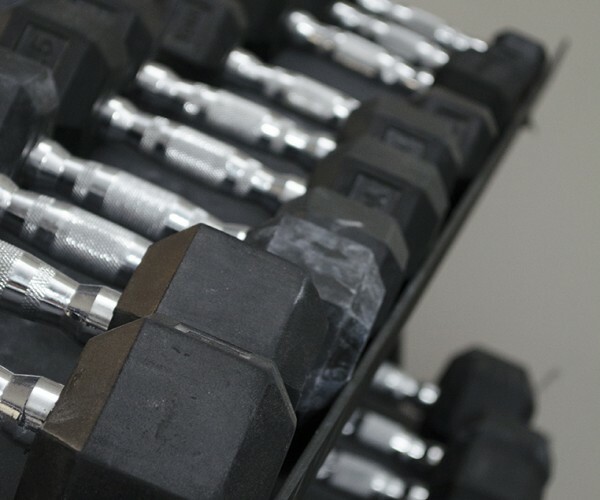 Give your muscles a day off every 2-3 days in order regain your strength. As a beginner, we tend to find shoes that are loose and comfortable. This can be great for longer days of climbing, but having a pair of high-end shoes that are snug, but not overly tight, can help increase precision and allow you to use your feet in different ways. Heel hooking, toe hooks, and edging all require a snug fitting shoe. Say you can onsight (do on your first try) a 5.9, and you’d like to be able to climb a 5.10c. 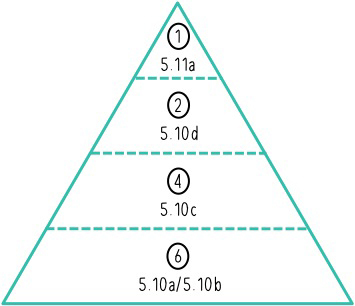 In order of having a realistic expectation of climbing a 10.c, you should do roughly four 10.b’s, and sixteen 5.10a’s. 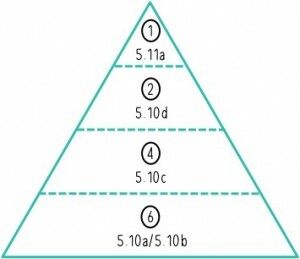 Think of your climbing training as a pyramid. The first level is your base and should be large enough for you to draw climbing experience from. There is no exact science, but the better base you have the stronger foundation you can use to reach your goal. 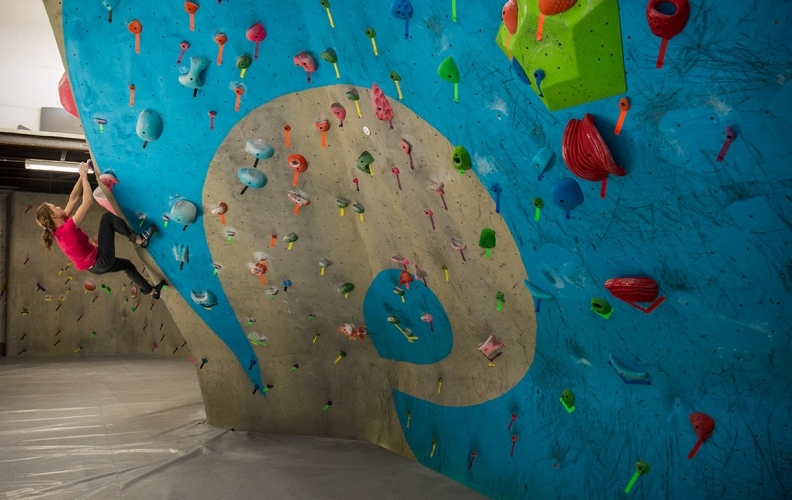 Speaking of goals, it’s easy to say that, “my goal will be to climb a v4,” but it’s much better to have your goal be focused on climbing well. Jumping on a v4 trying to achieve this goal may not work if you can’t make perfect ascents of easier routes. Creating a goal that reflects how one can climb better is much more attainable than just focusing on climbing higher numbers. Learn what your weaknesses are and create a goal from that. 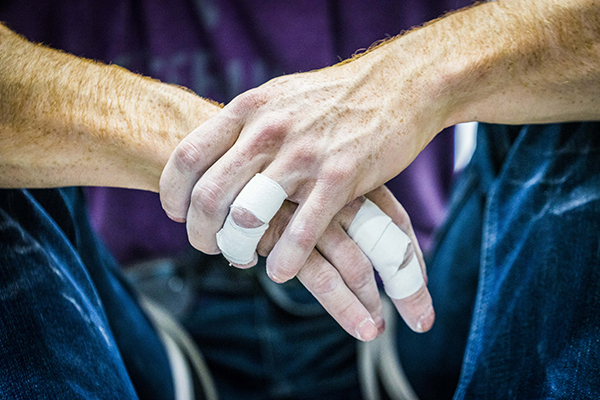 Finger injuries can be all too common when it comes to climbing. Beginners can end up climbing harder climbs by using strength instead of technique which can encourage them to get on crimpier climbs before their tendons are ready. Finger strength takes time to build because you’re relying on tendons instead of muscles. Typically it can take 3 years before tendon strength is ready, but that can vary. Its important to climb with an open hand grip when climbing, and to train carefully on crimps. That means, don’t hold onto a crimp when your fingers are feeling sore. Do your research. We suggest checking out a few books to help get more tips for climbing. The Rock Warrior’s Way – Mental Training for Climbing by Arno Ilgner. This book touches upon the mental part of climbing. 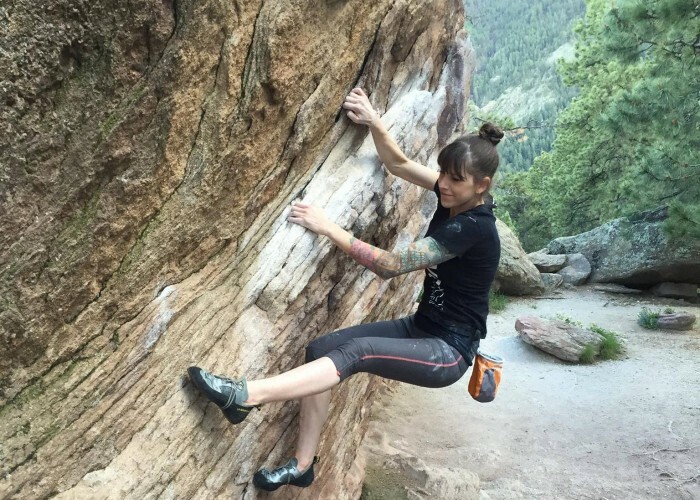 A rarely written about topic that is important for climbing. Let’s face it, everyone gets scared when they are feeling exposed on a climb. This book helps the climber get to know themselves better under stress while providing exercises to follow. Arno Ilgner explains in a step by step guide to learn how to combat fear and self doubt with peace and trust. The title explains it all. 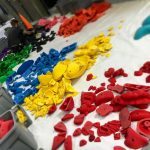 A great resource for better understanding climbing technique. This training manual has multiple, easy to use, step by step plans that will get you to the next level in your climbing. 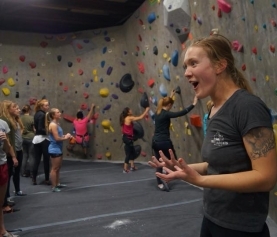 Included are beginner, intermediate, and advanced training programs based on indoor climbing and outdoor climbing.